Jun 12, 2015 — Microsoft has started classifying most versions of the Ask Toolbar as unwanted software and has updated its malware programs to automatically remove them. Microsoft has started classifying most versions of the Ask Toolbar as unwanted software and has updated its malware programs to automatically remove them. 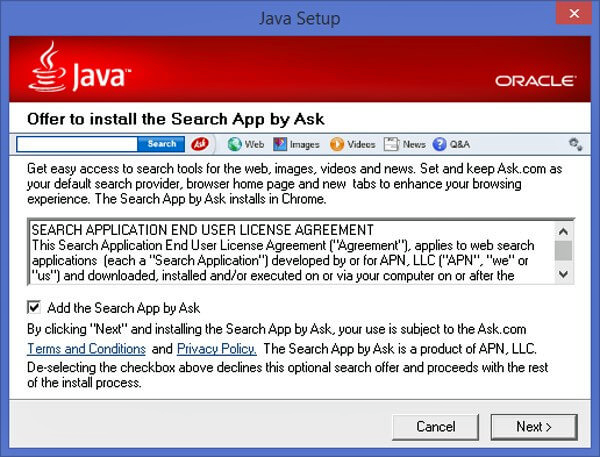 The move drew applause from security and support professionals because the Ask Toolbar has long been a source of performance problems that can sometimes be hard to correct.